Yesterday, October 8th was World Sight Day. 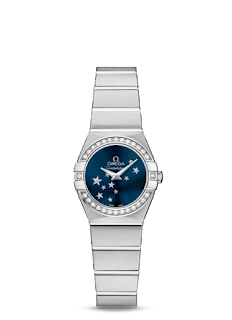 In a playful, new ad campaign with serious intentions, Omega has partnered with Orbis International featuring six of Omega's brand ambassadors: Cindy Crawford, Nicole Kidman, Zhang Ziyi, Sergio Garcia, Michael Phelps and Chad le Clos. Each is holding a cuddly teddy bear. Maybe you've already seen Nicole Kidman hiding her smile while peaking over the head of the bear in national media such as the Wall Street Journal or the New York Times. And you asked what's the meaning of the celebrity/teddy pairing? Actually the bear is the real celebrity in the ad. Orbis International is a top-rated charity receiving 4 of 4 stars by Charity Navigator. It's "an international non-profit non-governmental organization dedicated to saving sight worldwide. Orbis programs focus on the prevention of blindness and the treatment of blinding eye diseases in developing countries." In its own words, Omega explains that "going to the hospital can be scary so we supply Orbis International with cuddly teddy bears for each of its young patients. They comfort the children and their families and help the surgeons explain the treatment to the patients. Following the treatment, the teddy bear will have a matching eye patch." Since its founding in 1982, Orbis has visited 92 countries in Latin America, the Caribbean, Africa and Asia. In 2013, it provided training to 22,000 medical professionals and performed 5.7 million medical and optical treatments. One of its most visible ways of doing this is the Flying Eye Hospital (FEH), a McDonnell-Douglas DC 10-10 equipped with an on board ophthalmic training center with a 48-seat classroom connected via overhead cameras and an interactive audio system to a full surgical suite, laser and recovery rooms and more. You can fully experience the incredible impact of the Orbis FEH in The Hospital in the Sky, a 48 minute Omega/Orbis produced documentary film. This follows Cindy Crawford and her thirteen year old daughter on a training/surgical flight mission to Northern Peru. It's beautifully filmed, poignantly narrated and truly unforgettable. 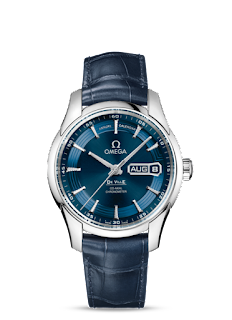 Omega/Orbis produced a similar, shorter documentary in 2012 featuring brand ambassador, Daniel Craig titled, Through Their Eyes. It documents Craig's visit to the Flying Eye Hospital when it was in Mongolia. Watching either of these two films will change your perspective on the gift of sight we so often overlook. A portion of the profits from the sale of four Omega's models, the Constellation Quartz 24 mm, the Constellation Co-Axial 27 mm, the De Ville Hour Vision Co-Axial 41 mm, and the De Ville Co-Axial Annual Calendar 41 mm is going to support Orbis and its Flying Eye Hospital. Omega has been a supporter of Orbis since 2012. It plans to continue its relationship indefinitely. Given Omega's longstanding reputation, that means for as far as the eye can see and then some. In tribute to Omega's Orbis commitment, my own teddy bear wearing my husband's Omega Seamaster (for this post renamed the Seemaster) gives an ocular high five to the company, the charity and the campaign.